Two memorable and stirring works in one volume. "Bartleby," (also called "Bartleby the Scrivener") is a haunting moral allegory set in the business world of 19th-century New York. 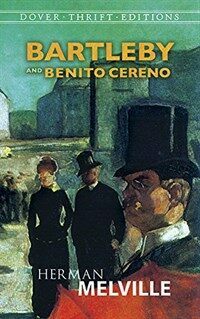 "Benito Cereno," a harrowing tale of slavery and revolt aboard a Spanish ship, is regarded by many as Melville's finest short story.